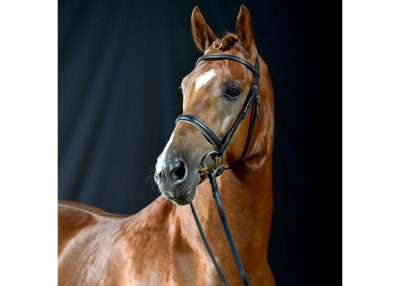 A unique opportunity for sport pony breeding is being offered with this exceedingly charming pony stallion, Quaterback’s Junior. Aside from his exceptional movement, he also has outstanding jumping ability. In spite of very limited show entries, Quaterback’s Junior has had success in the riding pony classes and jumper pony classes to look back on. 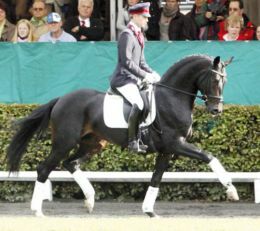 He won the qualification for the 2012 Bundeschampionate in Neustadt-Dosse with the incredible score of 8.67 and placed 2nd in the finals of the State Championships. In his 30 Day performance test in Neustadt-Dosse, he performed easily scoring 8.53 overall leaving the competition in the dust. 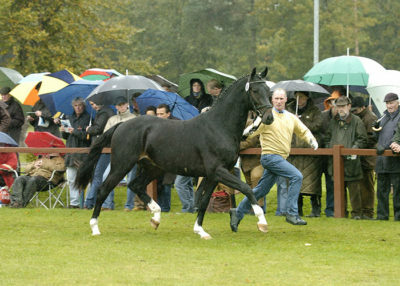 Futhermore, he was victorious at the National IG Welsh championships and was given the title, “National Champion Stallion”. With his first foal crop, Quaterback’s Junior has placed himself distinctly amongst the best of the Brandenburg-Anhalt’s sires and has qualified many foals for the German National Foal Championships in Lienen. 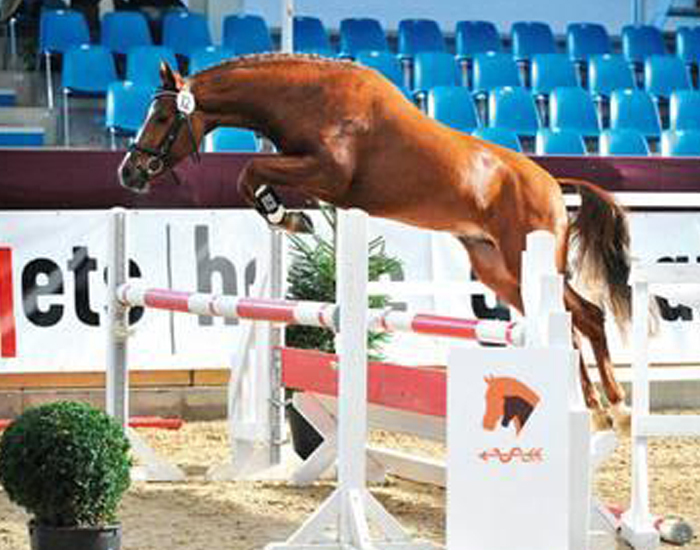 At the 2013 Foal Auction of the Ponyforum GmbH, his premium foals were successfully sold to various breeding regions.